Well known affordable housing advocate Luke Stack managed to run a successful re-election campaign for less than the average cost of renting a room in Kelowna. According to Elections BC, the four-time councilor only had two donations made to his campaign for a total of $500 in contributions. Both donations were made by Stack himself. In comparison, councilor Brad Sieben had 30 donations made to his campaign for a total of $12,551 in contributions. The financial disclosure statement reports that he spent $1,865.88, but Stack says that includes the original cost of his campaign signs that he has used for every election since 2008. Stack credits local media, open forums and the good reputation attached to his name for the successful yet frugal campaign. 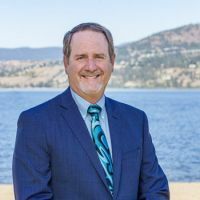 However, Stack’s campaign budget was the anomaly as Kelowna’s 2018 municipal election was a pricey one for every other candidate running. Elections BC financial statements show Mayor Colin Basran’s reelection campaign cost $76,585, coming within $200 of the financial limit for a city of Kelowna’s size. Basran’s fundraising was aided by 41 maximum donations of $1,200. Tom Dyas’ unsuccessful campaign was run for $35,726.